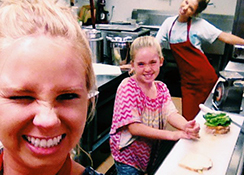 A native of Paso Robles, Heidi opened The Full Belly Deli in 2011 offering delightful breakfast and lunch items. 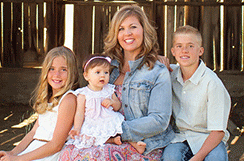 Coming from a family of business owners Heidi jumped at the chance to start her own deli in the commerce area of Paso Robles. She inherited a love of baking from her mom and the deli has a daily lineup of treats including freshly baked cakes, cookies, and other yummy sweets. "I really started this for my kids. It's my hope that they will want to work here while growing up so they learn a good work ethic and to understand the value of a dollar and where it comes from to use later in life." Heidi also loves the work schedule as it lets her serve her customers and then still have time to be with her children after school. Has been with us since the day we opened. A huge part of the deli's success is due to her delicious sandwich making skills, creative specials, hard work and dedication to the deli along with her beautiful smile. She's Heidi's "right" hand and handles the daily ins/outs of the deli. She is a one-of-a-kind employee! Not just a great place for lunch. 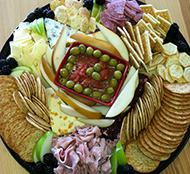 If you have a special event, think about The Full Belly Deli for your catering needs! We can handle your next business lunch, bridal shower or family get-together. Check out our catering page for more information. Breakfast items available until 11:00 a.m.
We're always up for making a build-your-own sandwich — just tell us what you want. By design, there are only about two dozen items regularly available at The Full Belly Deli because we focus on a simple, classic menu. Check us out often for different specials daily! 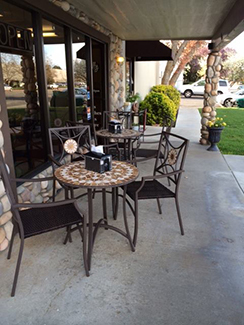 Read a review of The Full Belly Deli in the SLO Tribune.